The Town of Carefree is a rural, residential township of 3,580 residents (2016) living in approximately 1,900 homes. Located in Maricopa County, the Town is slightly more than 8 square miles in area, located in the northeast portion of the greater Phoenix metropolitan area. It surrounds Black Mountain to the south and west, and its land mass also continues to the northeast of this prominent landmark. 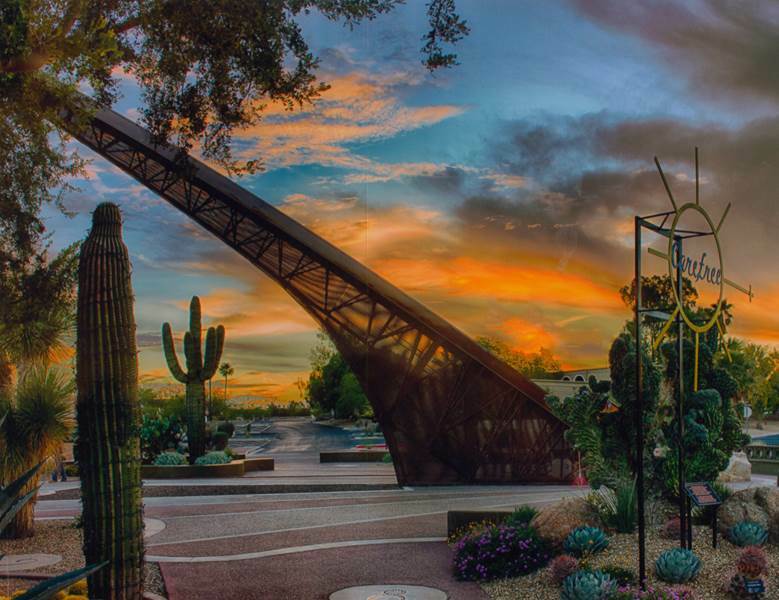 Residents cite the natural beauty of the Sonoran Desert, clean air, less traffic, peace and tranquility as the top reasons to live in the area. Area residents are active and involved in a broad cross-section of activities, and enjoy the outdoor lifestyle available in this region. Most residents participate in a variety of activities, including involvement with the Cave Creek Unified School District (CCUSD); events offered by one of the local churches or one of the numerous non-profits located in the Desert Foothills area; and dining at one of the many award-winning restaurants located in the Town. Temperatures in Carefree are typically 5 to 7 degrees cooler than towns to the south. The Town sits at an elevation of approximately 2,400 ft., considerably higher than the City of Scottsdale at 1,250 ft. and the City of Phoenix at 1,100 ft.
Average per capita income (2016) is $91,979. 42% of households earn over $100,000 annually. Median resident age (2016) is 65.6 years. Median home/condo value (2016) is $645,800. 81% of the housing in Carefree is owner-occupied. Median area gross rent (2016) is $1,104. Carefree does not apply any development fees to new construction. Carefree property owners are not subject to a Rural Metro Fire protection fee of $1,000 per home. The Town funds full fire and police coverage for its residents through tax dividends received from Maricopa County. School-aged children residing in Carefree attend public, charter or private schools within the Cave Creek Unified School District (CCUSD). Their main campus is just south of Carefree Highway, on 56th Street. The Desert Foothills area boasts a number of long-established and locally-supported non-profit organizations. Most are continually seeking additional volunteer and financial help from area residents. Hidden in the Hills/Sonoran Arts League in Nov.